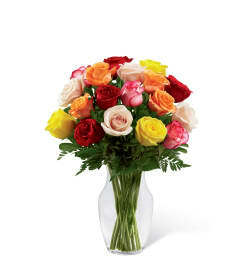 The FTD® Festive Wishes™ Bouquet blooms with warmth and beauty with the elegance of sweet roses. 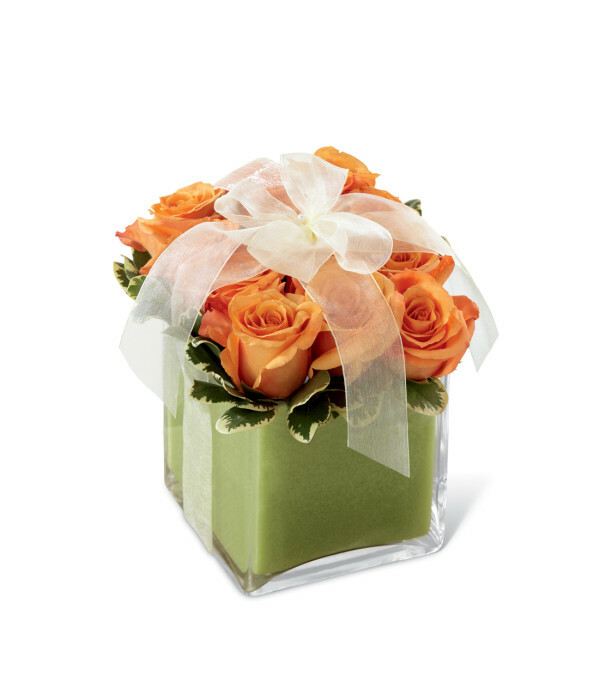 Brilliant orange roses are arranged in a pave style accented with lush greens and presented in a clear glass cubed vase with lime foam. 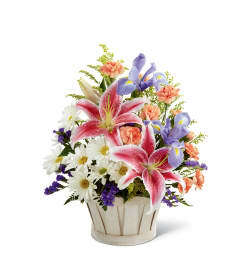 Tied together with a lemon sheer chiffon ribbon, this bouquet extends your sincerest sentiments for a wonderful birthday, anniversary or to send your congratulations.